As we left Brian's story in Part 1, United were pushing for a second successive promotion and a return to the top flight for the first time in 14 years. It all came down to the final game of the season, where a win at Leicester would secure promotion and, depending on the Leeds result, possibly the title. The Blades won 5-2, with Brian scoring. What are your memories of 5th May 1990? When I interviewed Tony Agana, he spoke about this incredible belief he had and felt that the team had that day as well, would you agree with that? I think we knew we had done the hard work over the season. The likes of Newcastle, Sunderland had more experience and what was perceived to be a better squad. We had taken a couple of beatings that season, 4-0 by Leeds, 5-0 by West Ham, but looking back, if we had lost those games 1-0 we would have been champions. We knew that we were up there on merit, as good as anybody else those two results aside. It’s interesting that in the excitement of promotion and Wednesday’s relegation, the small margin by which we lost the title to Leeds is kind of forgotten about. Yes and we were as good as Leeds! Your goal that day, where the ball came back off post, goalkeeper, rebounded off defenders and was eventually slammed home was recently described to me as an era defining goal. Not the classiest of goals, quite scruffy in fact, but what it meant and the way you sank to your knees in celebration make it stand out. Playing in the top division of English football it must have been a dream come true walking out at Bramall Lane v Liverpool, especially after the setback as a young lad? It was almost like a natural progression. We had an unshakeable belief that we could match anybody out there. We went out and Trace broke his cheekbone, but I think we didn’t disgrace ourselves. We were hungry for it. It was an era where things were changing in football. Dave Bassett knew that he didn’t have a team that could compete technically with some of the better teams. 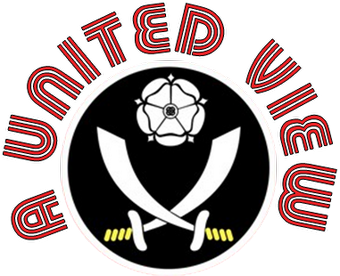 We couldn’t afford some of the players that some of the other clubs had, they wouldn’t be attracted to come to Bramall Lane and play. But we found ways of equalising the situation by being a little bit more scientific in our approach to games. I can’t say we were the first but we were certainly one of the first. If you look at what happened up to the point of us having four points just before Christmas; we actually introduced a new diet, we introduced new training methods, we had a fitness trainer (Ed Baranowski) come in twice a week and we became fitter and stronger than other teams. We scored more goals in the last ten minutes than other teams and they struggled to cope with us. In the end we survived because we adapted and changed and no one else had cottoned on to what we were doing. If they had been doing it, then the probability is that we would have struggled. The 3-2 victory over Forest on 22nd December 1991, which you scored in, was a catalyst for a complete change around in form and some amazing results given what had gone before. To finish 13th - 12 points clear of relegation was a fantastic performance. Going back to Liverpool, the goal against them past Bruce Grobbelaar the following season, is that your favourite Blades goal? I think that, along with the goal at Leicester on promotion day are my favourites. I think people have this notion of me being just somebody who was big and tall and even now, some people I meet, they don’t understand (maybe they’ve never seen me play) how I played. They don’t realise that I had a lot of assists in those days. I could go wide and I could cross with either foot, I would set other players up. That goal was a long time before you had David Beckham scoring his goal from the halfway line. I actually robbed the goalie and I’ve seen Stevie Nicol running back towards goal. That’s some skill really to score from there. Does it gall you that you scored a goal that good and it doesn’t get the television repeats and acclaim that it deserves? It does actually. Some people know their football and some don’t. If you ask me would I rather have scored that goal or the one that David Beckham scored I would say my goal because I had to beat somebody. It wasn’t just a case of taking a shot from the halfway line, Grobbelaar has come out and I’ve robbed him. As you can see I’ve then rolled it inside, I’ve rolled it back outside, I’ve looked up and I’ve had to do all that in a split second. I’ve then had to judge the flight. I almost didn’t have time to think, I instinctively did it. I was right behind that on the Kop and the flight of the ball was inch perfect between crossbar and Steve Nicol’s jump on the line. By then I had got used to not getting the credit I felt that I deserved. You just have to get on with and do what you do. Most of the influential reporters, shall we say, couldn’t be arsed going outside of the M25. How does a Sheffield Derby match rank in terms of an occasion to play in? I tried to divorce myself from that to be honest and get on with the game. I didn’t really try and take on the additional meaning so much, all I was bothered about was are we going to get three points and am I going to score. It is an occasion for the city really and I left it to the lads who knew what it was like growing up as a fan to enjoy and immerse themselves in it. What are your memories of Sheffield at Wembley? Was it similar? I treated it like another game. I didn’t think it should have been at Wembley, it should have been at Old Trafford for the size of crowd. It seemed wrong to have all those fans going down on coaches and having to spend lots of money down in London. It’s nice that people can say that they have had a day out at Wembley, but I feel that it should just be the final at Wembley and that’s it. You did pick up England caps on the tour of New Zealand and it’s a dream to play for your country, but is it disappointing that it didn’t progress beyond those two caps? Yes it was, because I don’t think I ever got a chance really. I never got a chance to settle into it and I sometimes saw players coming in to the England squad, players that I had heard so much about, and when I was training and playing against them I was thinking what was all the fuss about. It happens still today, there are players who are playing and I don’t get all the excitement surrounding them. They don’t get me excited, but they still seem to be darlings of the media. Playing for my country was strange in the sense that it was so far away. For whatever reason, I never really felt as though some people thought that I deserved to play for England, even though I was 23 and I had scored a load of top level goals. It is quite hard to take, but I guess that there are ways, or better ways, to train yourself and your mind for that now, than at that time. How much do you hold to scoring the first Premier League goal? It is a massive thing for me. As far as I am concerned I am very proud of that record and I am glad that people can look at me when they say that rather than me having to look at anyone else. I guess that will define me and wherever I go I am remembered as being that person. The day was even more special because I got both goals in beating Manchester United. It was a great day for the club and for me. Did you ask for the move from United, or was it more the club seeing you as a valuable and sellable asset? How close were you to signing for Wednesday? 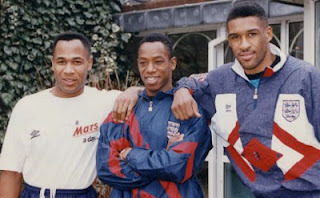 I went to see them, I spoke to Trevor Francis and the chief executive at the time, but I never really believed it. I thought there was a bit of an agenda to be honest; I couldn’t actually believe that they put a bid in for me knowing how fierce the rivalry was. So I didn’t really take it seriously and that is no disrespect to the club at all. It was just that I didn’t really see how it was going to work. They were a big side at the time and the manager was looking to pair me up with David Hirst which would have been a good combination to be honest. Hirst was also picking up his first England caps around that time. Yeah, we were always on the periphery, I think we had to work extra hard to get any kind of recognition. Match of the Day, or whatever was always “What’s happening down at Tottenham.” There was the 6-0 victory over Tottenham in the 1992-93 season, we beat Chelsea 5-0, we beat Manchester United....Liverpool, without really being noticed. Was it difficult adjusting to the expectation at Leeds? Was a £3m fee a heavy weight to carry? It wasn’t at all. Let me clear this up now, it wasn’t anything to do with that. I’m not Lee Chapman and I never have been, yet that is who I was expected to play like. When I went there I found myself not playing with wide players. If you buy a player, a forward, then you’ve got to have an idea of what his strengths are. At that time for me it was all about being in the box quickly, getting past people using my pace. Yet, for a long period of that first season, I just felt as though I was like a wall-ball. The team were playing lots of intricate football in the midfield area then, all of a sudden, they would lend me the ball, or expect me to get to the far post. That just wasn’t my game. My game was get the ball into me quickly and I fancied myself one v one versus any defender in the country. Yet for that first season my game changed, I found myself getting deeper and deeper, looking and searching for the ball, it just didn’t suit me. I scored on my debut and to all intents and purposes I should have gone on. In each of my seasons I scored on the opening day of the season so it shouldn’t have been any different. It just didn’t feel like the priority of the team was to attack, I suppose. It’s a tough one, but for me the game is about creating chances and scoring goals and that is what a good team should revolve their play around. Despite that frustrating first season, you are held in high esteem by Leeds fans and that must be a positive? Yeah, we are talking about the first season and after that it changed a bit for me in that I played in a different position. We played a different type of football and it meant me getting back to what I liked to do and use my assets. In fact I got Player of the Year in that second season and probably my favourite goal for Leeds was scored on the last day of the season away at Tottenham. I picked the ball up halfway into our half and I ran the length of the pitch and scored. We drew 1-1 and qualified for the UEFA Cup. Things turned round – I had a lot of highs and a few lows at Leeds. The biggest low was the 1996 League Cup final against Villa. The week before the final we were on the box against Everton. We played a weakened team, but before the game Howard (Wilkinson) came up to me and said; “I haven’t decided on the team yet, it’s up to you whether or not you are going to play in the final”. I got man of the match and scored both goals in a 2-2 draw so I thought I must be playing. Then as the week started I could tell, in fact almost immediately after the game I could tell I wasn’t going to be playing. That was a big disappointment for me and at that point I wanted to leave the club, because I couldn’t really see where it was going. I tried harder at Leeds than I did at Sheffield United, in terms of trying to fit in. I shouldn’t have done that. I tried to do it in the first season, the second season I did it my way and the third season I tried to be a team player again. Sometimes, when you offer yourself selflessly, you don’t always get what you deserve and that was an example to me. You have to get the balance right. You were still a young player. This isn’t something you are taught, it’s something that experience teaches you. Yes and it would have been hard for me to leave Leeds at the time, we had been a Top 5 club and then that third season had been a disaster. So if I left the club, where would I go? 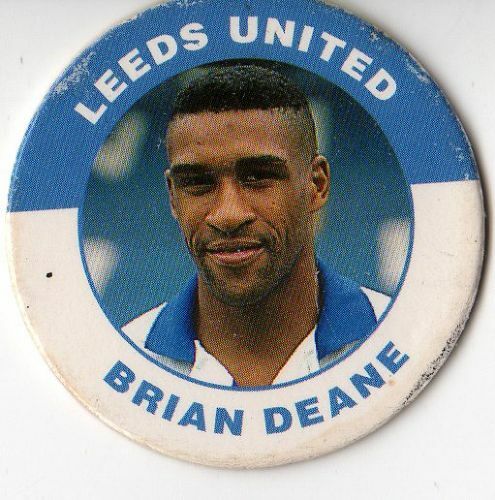 Brian was to leave Leeds at the end of the following season and in the final part of the interview (which you can read here) he talks about two returns to Bramall Lane, his time in Portugal, happy days at Leicester (despite the club being in administration) and the work he is doing now with young players.